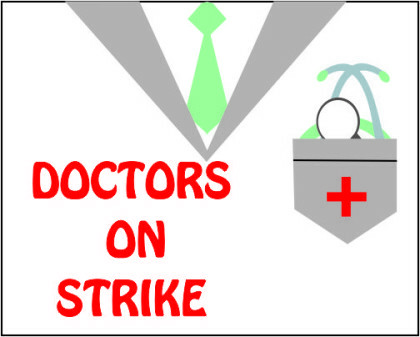 Its been 5 days since the resident doctors of Karnataka have been on strike. 5 days that wards have been in shambles and OPDs have been completely neglected, with consultants and senior doctors manning only the emergencies. The IPDs and surgeries in government hospitals have tremendously gone down, with the doctors admitting concentrating only on emergency cases. The resident doctors are still outside their hospitals sitting in dharna. Their main demand clearly stated is that of an increase in the stipend that was last done three years ago. They are yet to receive any response from the government. It seems that the entire state is going through a massive state of inconvenience, but for the authorities. The apathy of the government, not only towards the resident doctors, but also towards the patients is appalling. I am sure that even KARD didn’t think that this would go this long. The issue of the stipend was supposed to be taken up in the cabinet meeting today. However, the meeting has been cancelled, and doctors do not know when it will happen next.